Books for little boys who want to be policemen or firefighters when they grow up are a dime a dozen. Ditto on books for boys who admire truck drivers or train drivers or even pirates. But what if your boy doesn’t fit the mould? What if he doesn’t want to be any of those things? What if he dreams of creating towering skyscrapers or building intricate bridges? 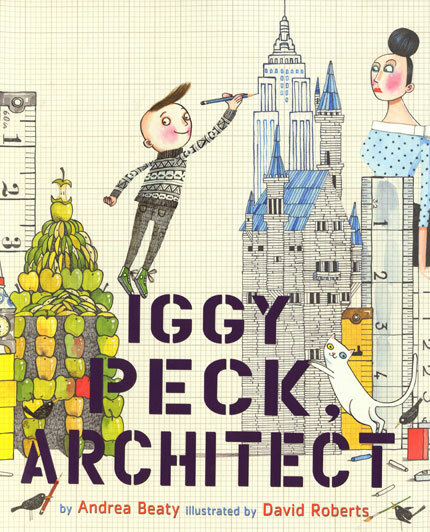 Forget British blow-in Bob the Builder, it’s Iggy Peck, Architect you’ll be wanting. 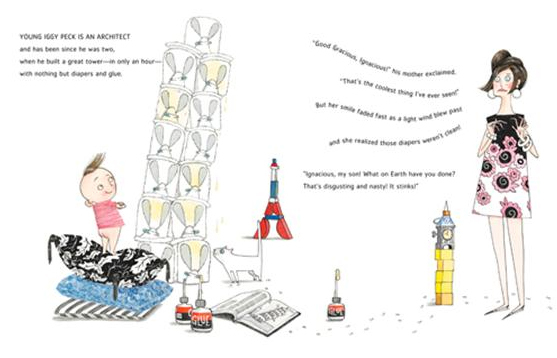 Young Iggy Peck is an architect and has been since he was two, when he built a great tower – in only an hour – with nothing but diapers and glue. “Good gracious Ignatius,” his mother exclaimed. “That’s the coolest thing I’ve ever seen.” But her smile faded fast when a light wind blew past and she realised those diapers weren’t clean. When Iggy was three, his parents could see his unusual passion would stay. He built churches and chapels from peaches and apples and temples from modeling clay. 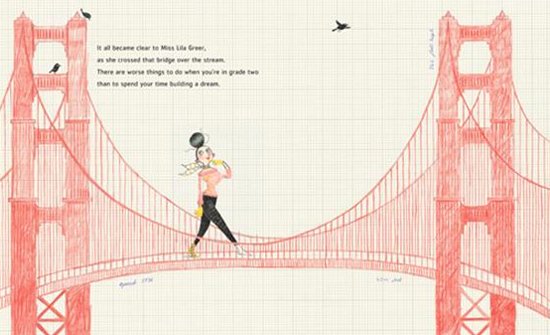 Andrea Beaty’s marvellous picture book is perfect for sharing with boys – or girls – with a creative bent. 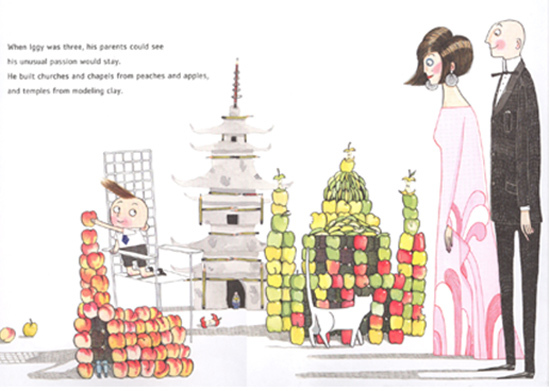 They will love the rhyming tale of Iggy, whose grand designs are thwarted by a grade two teacher who doesn’t share his architectural passion… until a disaster on a school excursion allows Iggy to step in and use his design skills to save the day. It’s not just the quirky, funny story that enthralls, though there were plenty of parts where my eldest son couldn’t control his giggles. I’m also digging the modish 60s-esque styling of David Roberts’ illustrations, complete with old-school style graph paper. Find Iggy Peck, Architect at Book Depository in hardback edition for $12.76, with free delivery thrown in.